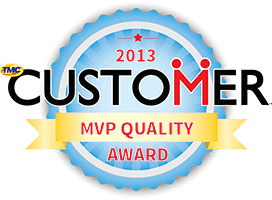 Ansafone Contact Centers has been honored by Interactive Intelligence as an Innovator Award finalist for 2013. 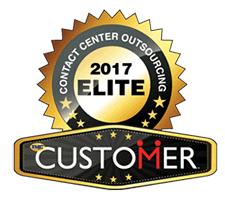 Ansafone Contact Centers, with contact center facilities in California and Florida, has been honored by Interactive Intelligence as a finalist in their 2013 Innovator Award. 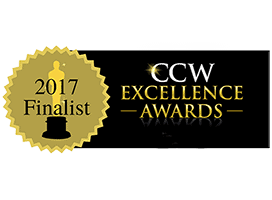 Interactive Intelligence has selected Ansafone Contact Centers as a finalist for its Innovator Award based on Ansafone’s comprehensive deployment and creative use of the company’s Customer Interaction Center(R) CIC solution designed for integrated IP communications. Ansafone uses Interactive Intelligence’s CIC suite to integrate its US based operations that’s staffed by more than 500 agents supporting clients in healthcare, retail, consumer products, government, financial services, real estate, e-commerce, legal, and several other industries. In addition to phone interactions, Ansafone supports multi-channel interactions that include live chat, email management, text messaging, and social media customer services using the CIC suite as the platform. The Interactive Intelligence Innovator Awards event will be held at the at the Indianapolis Marriott, Interactions 2013 Conference, May 13 – 16 in Indianapolis, IN. Interactive Intelligence Group Inc. is a global provider of contact center automation, unified communications, and business process automation software and services. The company’s unified IP business communications solutions, which can be deployed on-premises or via the cloud, are ideal for industries such as financial services, insurance, outsourcers, collections, and utilities. Interactive Intelligence was founded in 1994 and has more than 5,000 customers worldwide. The company is among Forbes Magazine’s 2011 Best Small Companies in America and Software Magazine’s 2012 Top 500 Global Software and Service Providers. It employs approximately 1,400 people and is headquartered in Indianapolis, Indiana. The company has offices throughout North America, Latin America, Europe, Middle East, Africa and Asia Pacific. Interactive Intelligence can be reached at +1 317.872.3000 or info (at) inin (dot) com; on the Net: http://www.inin.com. Ansafone Contact Centers has been in business since 1970 and is a privately held company. Randall J. Harmat, President and CEO, purchased the company from his father, Joseph Harmat, over a decade ago and has grown the business from its answering services origins into a full service Contact Center. During his leadership, Ansafone has succeeded in attracting and retaining top industry talent that shapes current client support programs and is creating the vision for future services. In 2001, Ansafone moved into its current location in Santa Ana, CA and recently added a new facility in Ocala, FL to be the east coast corporate office. Ansafone has other facilities in the Midwest and Eastern Time zones to accommodate clients nationwide. Ansafone maintains an active disaster recovery plan and delivers maximum service availability for clients. Contact Ansafone at (800) 510-0514 to discover how our certified online chat specialists can transform your online browsers into buyers with an interactive and friendly platform designed for first contact resolution.